For international conferences, where representatives from different nationalities participate, it is of greatest importance all participants to listen to a language they understand all the time. Therefore, it is mandatory to use a system allowing simultaneous (synchronous) interpretation to the floor language used. This is achieved by using professional for simultaneous interpretation, where the interpreters are accommodated. The translation of the different languages is distributed in such a way that each of the delegates could choose, by means of a special device, the language he/she understands. The most effective way of distribution of interpretation is through use of infrared (IR) system. It is wireless, which gives the delegates full freedom of movement. However, this means also full confidentiality of the information as the distributed signal cannot go outside the room. The new systems offer better than ever digital audio quality without any disturbances from the lighting in the room or other external sources of noise. This is also the only system, which is not affected by the safety systems of radio jamming used by the security services. This is what makes it the only system which could be used for meetings and events at highest level. The conference discussions often affect sensitive topics and confidential information is shared there. In such cases it is very important the audio broadcasting not to threaten the security of the information. As the infrared rays do not pass through opaque materials, from which the walls are built, the conference hall itself serves as a barrier for this type of rays and protects from unwanted interception. All other RF (radio) systems, offered to the market, do not cover this requirement and could be listened to remotely without the knowledge of the organizers, lecturers and delegates in the room. The digital infrared system offers significantly improved quality of sound. The better technology of compression and the higher signal/noise ratio lead to much bigger clarity of the accepted signal and high speech intelligibility as well as full resistance to disturbances from sunshine and the lighting in the room. Because of the greater distinctness, its use is less tiresome for the participants in case of a long use. This leads to increasing the capability of the delegates to preserve their concentration during prolonged conference meetings. By using the infrared system, the delegates receive significant freedom of movement within the frames of the conference hall. As the translation is spread in the air and the delegates are not physically connected to the system, they could move freely within the frames of the room, restricted only by its walls. The receivers and the earphones are light, easily portable and unobtrusive. This is a digital congress system of new generation focused on the advantages of the innovation digital technologies and conference system. It offers universality and high quality in transferring sound and data and meanwhile provides full control over the work of the conference. Bosch DCN NG digital interpretation system has the advantages of innovative digital technology of data transfer. 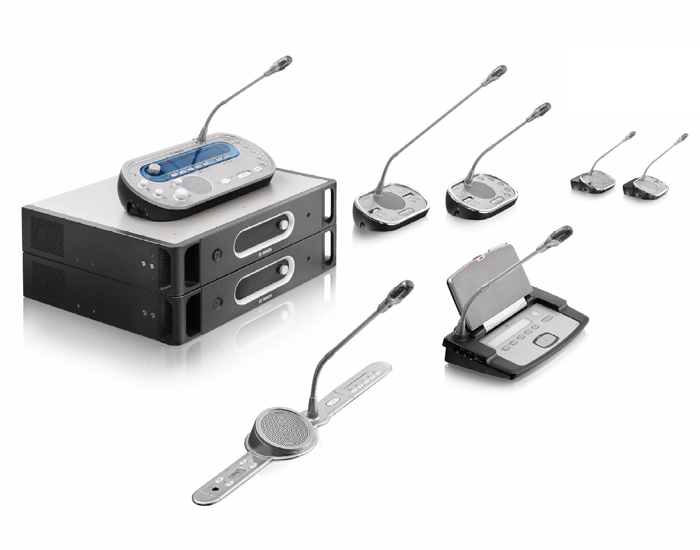 Bosch DCN is the perfect solution for the complete equipment of conference halls with extremely reliable and quality conference system. Bosch Integrus is a system of wireless distribution of audio signals through infrared rays. 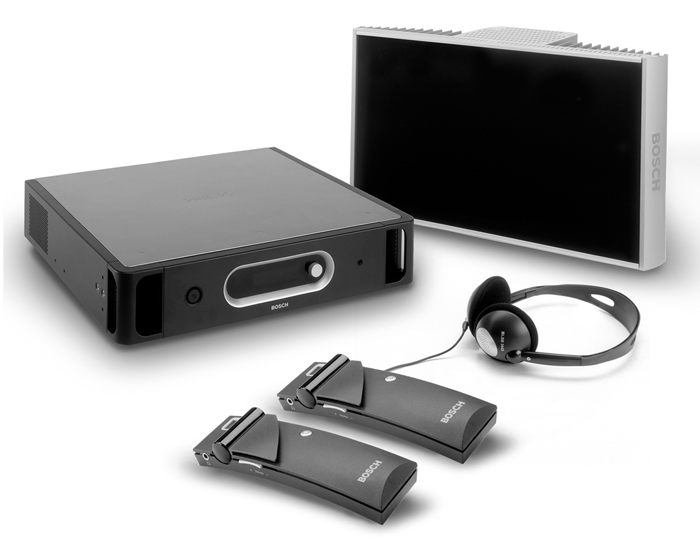 It is the ideal solution for joint application with simultaneous interpretation systems for international conferences where several languages are used. Bosch Integrus is completely digital infrared system for distribution of languages intended especially for multi-language conferences and meetings. The availability of presenters, lecturers and delegates from different countries is not a barrier any more thanks to the simultaneous interpretation system. It helps every delegate to be able to listen the lecture in his/her own language by means of the small receiver. As this is a wireless infrared system, the conference participants are able to move freely around the room and this is not an obstacle for them to follow reports and presentations. 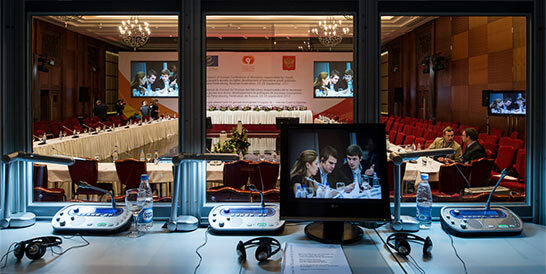 The system is extremely flexible and offers excellent quality of sound, which makes it ideal for conference centres and international organizations regardless the scale of the event or the room. As a result of this, Bosch Integrus turned into a globally preferred infrared system of quality distribution of translation languages. 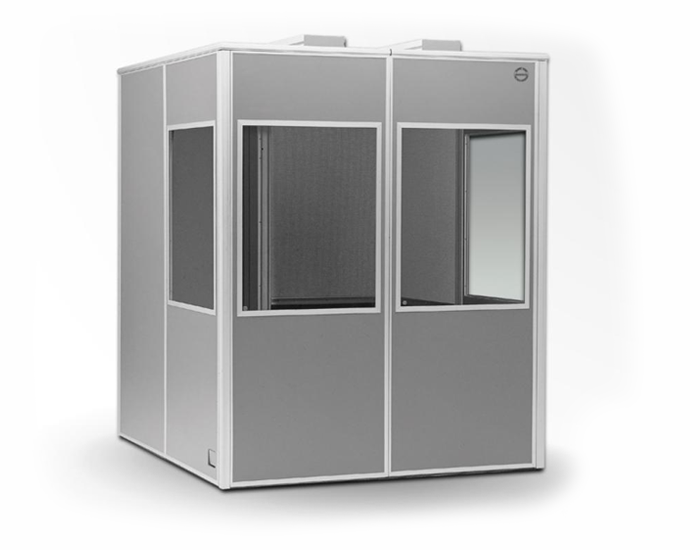 Professional soundproof booths for simultaneous interpretation Quick and easy mounting. As a standard, the booth is envisaged for two interpreters but it could be easily expanded for up to six work places. This booth is completely mobile and is suitable for any kind of conference systems. The booth meets the global requirements of ISO 4043 standard and is the only one equipped with windows of the Security Glass type.